DICE has announced the publication of a novel based on Battlefield 3. 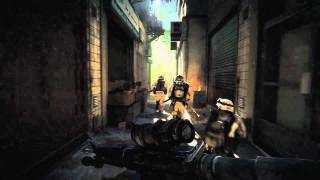 Titled Battlefield 3: The Russian, it is written by the highly decorated ex-SAS operator and best-selling author of Bravo Two Zero, Andy McNab, with co-author Peter Grimsdale. The book tells the back-story of RU Special Forces operator Dima, one of the hero soldiers featured in the Battlefield 3 single-player campaign narrative. 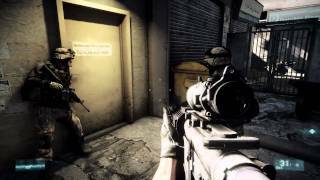 Battlefield 3: The Russian paints a picture of a soldier struggling to do whatever it takes to keep himself, and his platoon, alive. The modern military novel will be released alongside the game on Oct. 25, 2011 and will be published by Orion Publishing in Europe and Grand Central Publishing in North America. In the game, the single-player storyline is revealed through a series of flashbacks as Marine Staff Sergeant Henry Blackburn races to prevent an attack on New York City by a deadly force known as the PLR. As Blackburn recalls key events leading up to the attack, players take control of several characters in missions across land, sea and air. One of these characters is Dmitri “Dima” Mayakovsky, a legendary and pragmatic GRU operator in the twilight of his Special Forces career. Known as a “cleaner”, Dima is the sort of person that does whatever it takes to get the job done. The book picks up where the game leaves off, allowing McNab and Grimsdale to give a new perspective into Dima’s own personal quest as well as the events of Battlefield 3. McNab is also working with the team at DICE to ensure that the authenticity of today’s warfare is fully realized in all three campaigns; singleplayer, co-op and multiplayer. 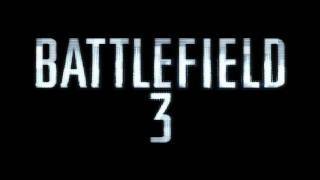 Battlefield 3 is coming to Xbox 360, PlayStation 3, and Windows PC on October 25, 2011. There are currently 0 members and 188 guests on the website right now. "An enthralling, dynamic multiplayer experience with the visual and audio package to match"
Battlefield 3 is ranked #22 out of 1434 total reviewed games. It is ranked #2 out of 112 games reviewed in 2011.